This post contains affiliate links. I earn a small commission when you purchase items using my links. Each sticker is hand drawn to add a rustic, handmade touch to your planner (or journal) pages. There are 3 sheets each of 300 DPI .JPEG and .PNG files. I’ve added an instruction sheet to help you with printing. Avery makes great sticker paper, and it’s widely available at office supply stores. LD also makes great sticker paper, and at an amazing price. Staples generic brand of sticker paper also receives good reviews. Want a free coloring page? Better question: who doesn’t want a free coloring page? 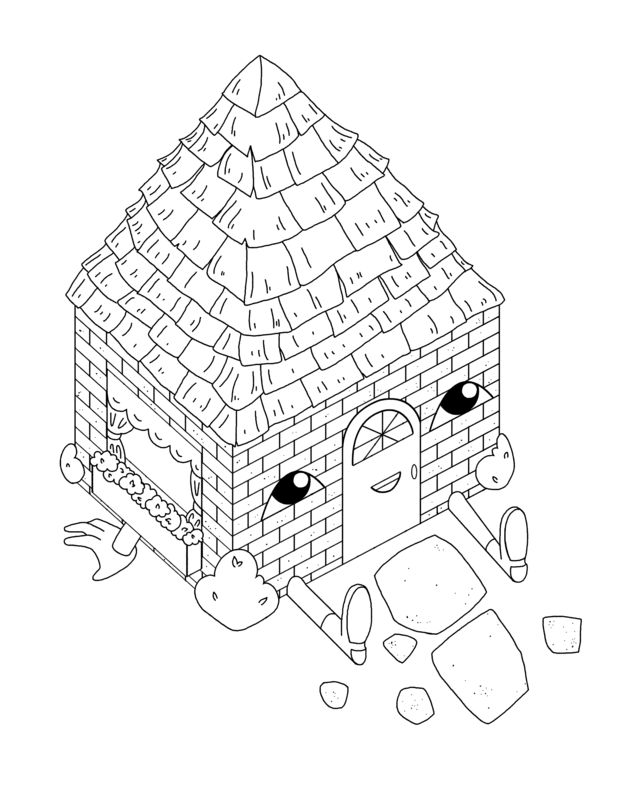 Keeping with September’s theme of Home, this is a cute house coloring page. He is happy to be here and ready for you to move in. Click here for a .PDF file of the same image, if you prefer. You can resize it to fit any paper you have handy. I think this would be awesome on card stock. Watercolor paper would be especially nifty if your printer can handle it. Or pin this page for later. Everyone has a coloring page board, right? Right? But like, that’s a pretty cute house still. So I put him on t-shirts and stickers and even duvet covers. Go check out my RedBubble shop to see. Are you going to color this? I would love to see it! Tag me on Instagram @ceiltastic. Or, share it my Facebook page.